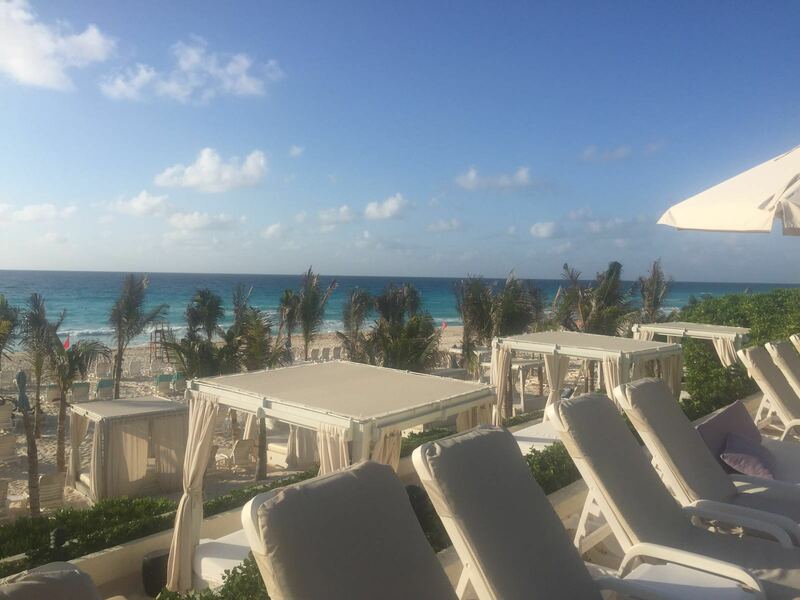 It’s here and gone….the girls trip that was planned for months, took months of shopping for the perfect outfits (lots I didn’t even wear and still have the tags on) and all the preparatory excitement for it all….is OVER!! IT WAS ABSOLUTELY AWESOME!! It was pure “teenage” fun! 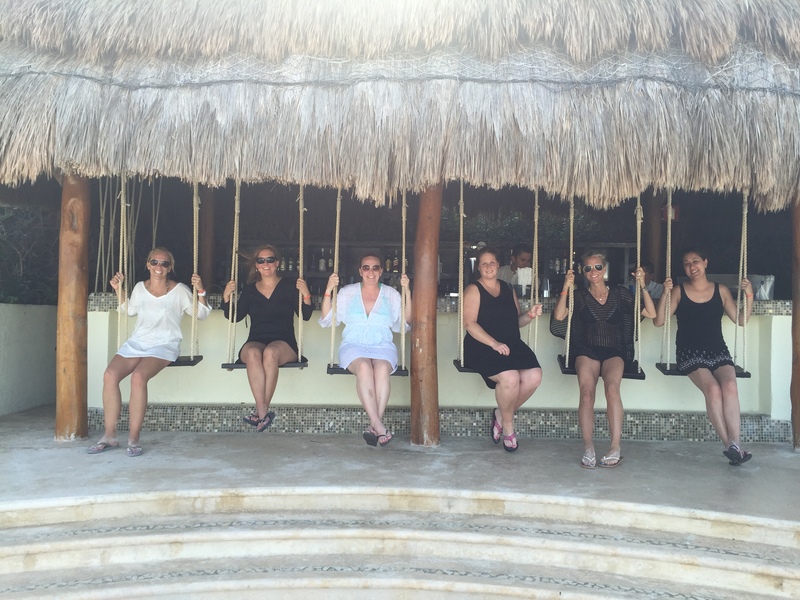 Cannonballs, games, walks on the beach, water fights, and hair braiding! We flew out on Friday at 9:00 am, a little delayed, and arrived at 1:00 in Cancun! The TSA security at O’Hare was a breeze on the way out, flew threw it in 10 minutes, not sure what all the fuss was about and why we got to the airport 4 hours early! We made our way back home after a GLORIOUS stay for 3 nights! It was pure sun, laughter, drinks, relaxing, hilarious laughter, drinks, walks on the beach, more laughs, more drinks, and lots of food! 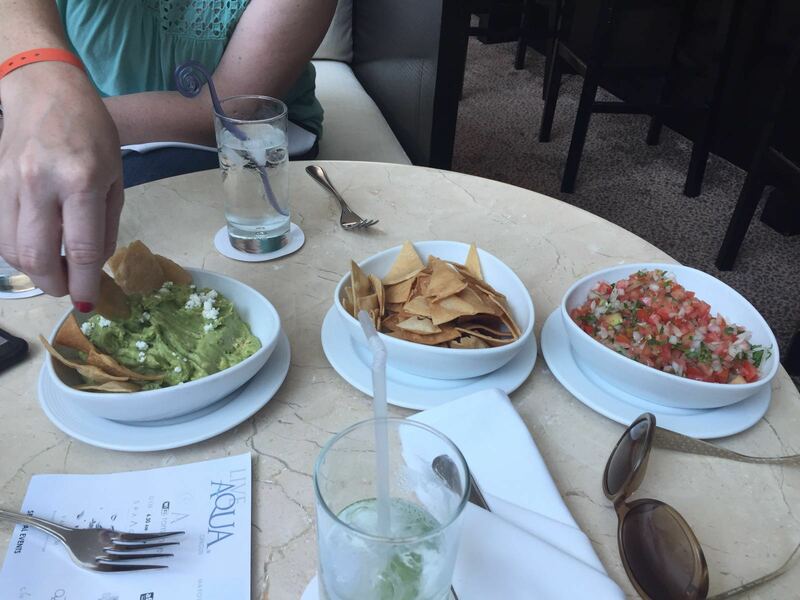 Lots of Chips and Guac all weekend! 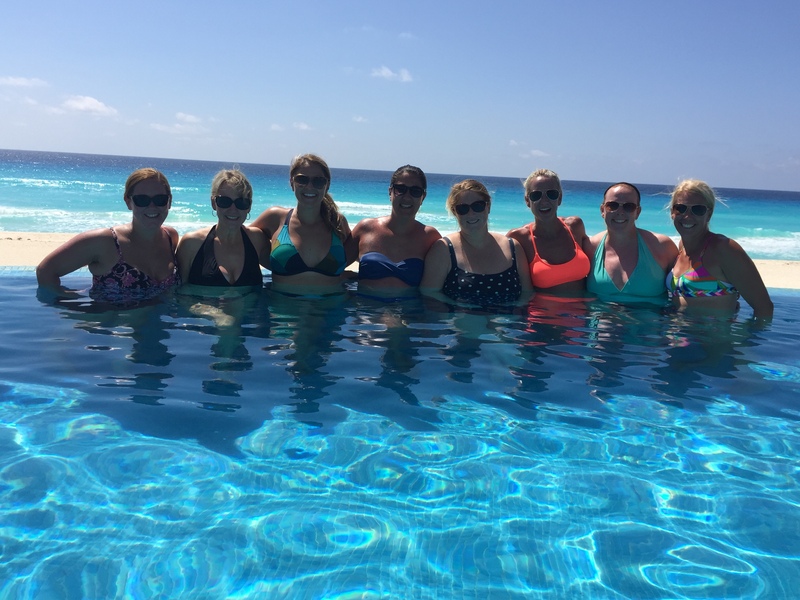 I was super proud of the work I put in for the 21 days prior to the trip….not so sure I’m equally as proud of what I ate on the trip, but that’s what an “all inclusive” is for, right? It was three weeks of the 21 day fix with a little twist…I prefer ziploc baggies and don’t exactly follow the portion size. The first two weeks I did weigh myself about every other day and I saw that the scale was going down…my goal was to lose the 5 pound fluff I had put on while studying for the Nutrition Exam (isn’t that a little bit of irony…studying for a nutrition exam and gaining weight…hmmmm). Another bit of news, is that I am now a Beachbody Coach. What does that mean??? Honestly, I really have no idea. I have been drinking Shakeology consistently for a few months and buying all of the videos on BeachBody to use in class and thought it would be a good idea to give this a try. I’m sure you’ve noticed that I like to try lots of different shakes. I feel like I have tried them all and this one seems to work the best for me. I have done Isagneix Shakes, Arbonne Shakes, the Costco powders, etc. 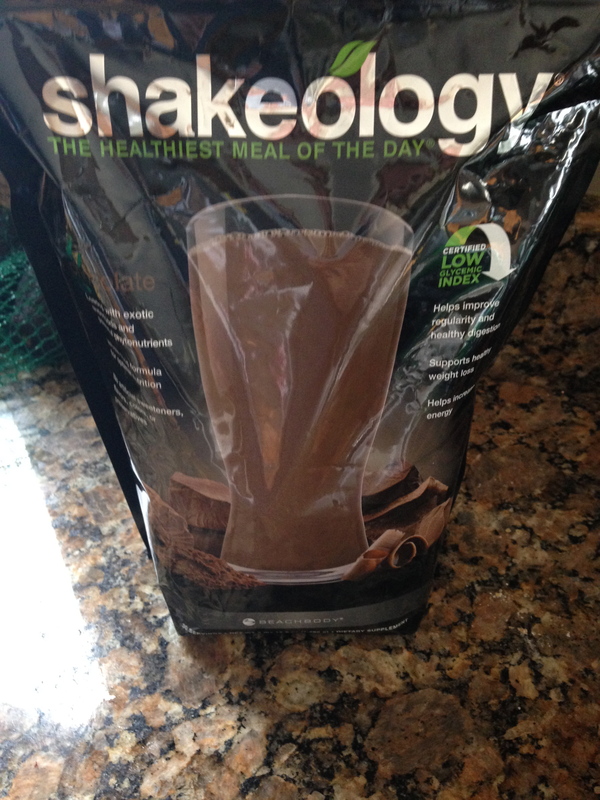 Shakeology is what seems to work for me. 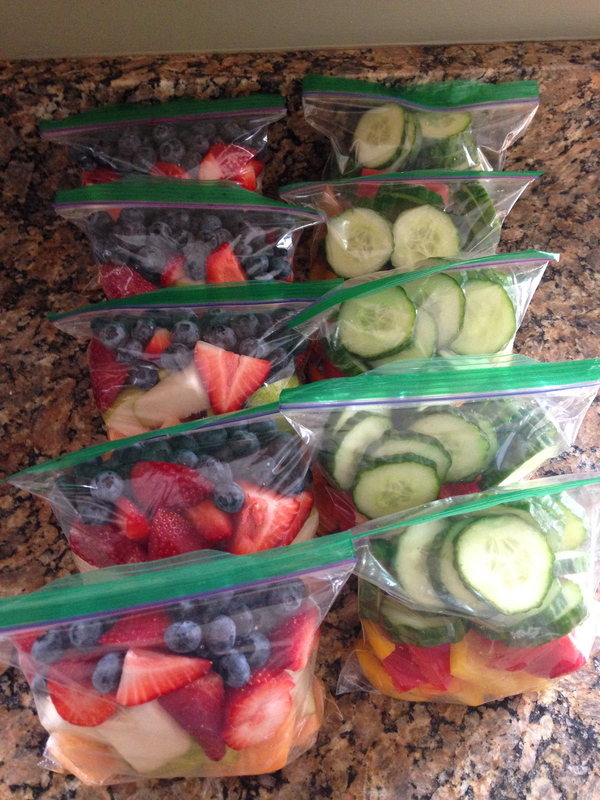 A shake a day and lots of fruits and veggies throughout the day with a nice healthy dinner of salmon or chicken. I have a shake for breakfast everyday (because I’m running out of the house like a lunatic and if I don’t eat breakfast it ruins my whole day)and it carries me thru my first few periods of class from 8:30-11:30 (plus I get some of my water quota in). PJ actually makes me my shake for me in the morning, it’s his “thing” he does for me in the morning. Becca helps with Emma’s lunch and PJ makes my shake. I feel full for a few hours after I drink it. This is a meal replacement shake and it’s what works for me. The shakes offer so many of the nutrients that I need. Another perk of signing up to be a coach is that I got a discount and a new video series for cheap so watch out for some new exercises. The New Session started Tuesday, May 23rd and will go thru August 12th. There will possibly be no class 7/15 (possible baseball tourney), 8/2 & 8/5 (possible Vegas). There will be class every Tuesday and Friday with additional random classes at the gym and classes at the hill. Write a check for the amount of classes you want for the summer. Two times per week is 24 classes (but I have 3 possible “no class” dates listed to make it 21) So…just a reminder we are only having class scheduled for Tuesdays and Fridays, but I will add in some RANDOM workouts throughout the summer. Hill runs will be FREE workouts. Extra Gym classes will count on your punch card. I keep attendance every class so I thought this would be a nicer way to do it to accommodate the summer vacations. If you buy a 15 class punch card and end up coming 18 times, GREAT! I will keep track and then add on $10 per class at the end. Please email me with any questions regarding this, just trying to add a little more flexibility. This is the life…drink, pool, sun! ← I passed….55 more days….how are those tris? Are you still located here in Cary? Yes! We have class at 5:15 AM at Cary gymnastics.